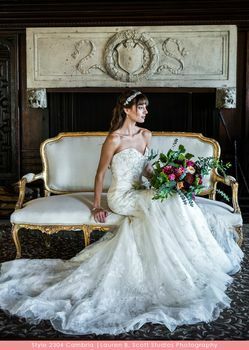 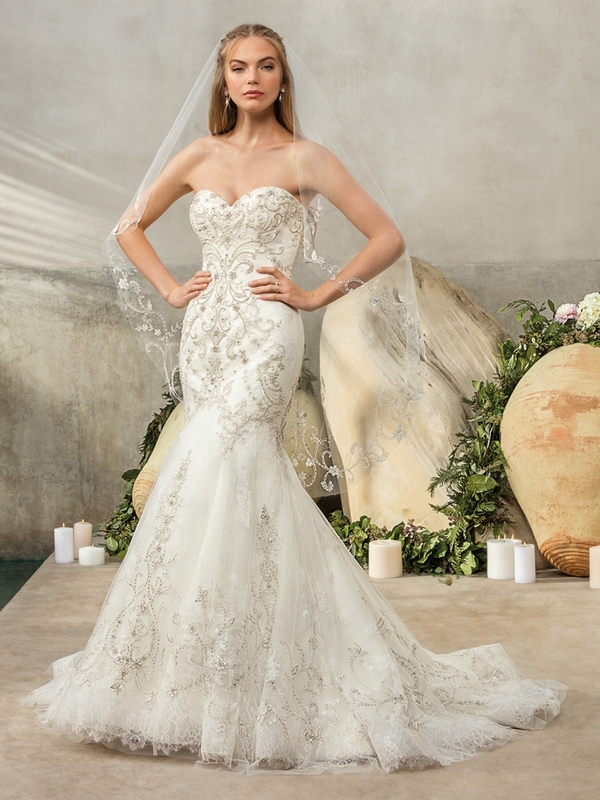 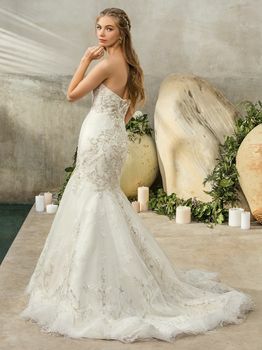 Sparkle of beaded and embroidered tulle sits atop a soft Chantilly lace on the flared silhouette of Style 2304, Cambria, while silky satin provides structure. The pattern of the bodice’s beadwork elongates the torso. 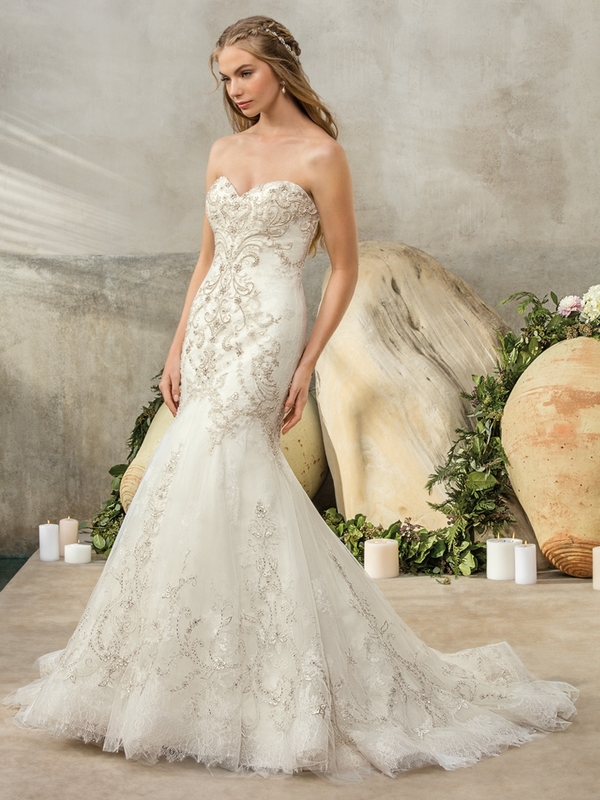 Combined, these elements create a desirable fit, truly able to accomplish allowing a bride to look and feel her best on her big day.